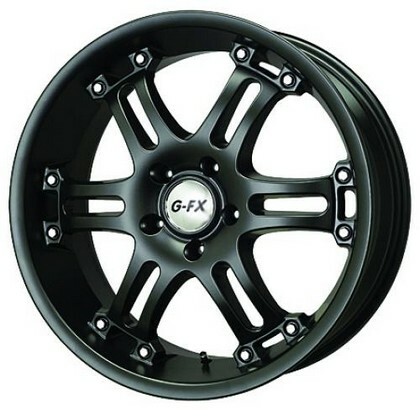 GFX-OR9 Matte Black Wheel 20x8.5 94-18 Dodge Ram 1500 [Voxx OR9285-5139-18MTB Wheel] - $245.95 : 3rd Strike Performance, Your Source for Late Model MOPAR Performance Parts and Accessories! Founded in 1996, Voxx is a relative new comer to the automotive aftermarket but the company has quickly achieved a reputation as one of the premier wheel manufacturers on the market. With a serious commitment to customer satisfaction they have a knowledgeable and helpful staff that goes above and beyond to ensure that you always get what you want. While they started out small specializing in wheels for tuner cars and European makes, they have since expanded their lineup to include items for a huge array of wheeled vehicles. The president of Voxx has also shown his commitment to perfection by being elected for a second term to the highly prestigious SEMA Wheel and Tire Council. With a commitment toward the future Voxx looks to continue expanding their product lineup while maintaining excellent quality and service.